"Clean coal" is a term coined by industry and government to describe as yet unproven methods of burning coal for producing energy with reduced carbon emissions. The term is actually misleading as burning coal for energy will never result in zero emissions. The term "clean coal", which has been described by some as an oxymoron, is also used interchangeably with "carbon capture and sequestration (CCS)". 2 Origin and use of the term "clean coal"
There will be high energy costs (and more emissions) to pump CO2 from sources such as power stations to locations where it may be stored. It will be very expensive to develop and deploy - probably more expensive than proven renewable zero emission solutions such as wind, solar and geothermal energy within 5 to 10 years. Much more coal will have to be burnt to power CCS (up to 30% more) mechanisms for capturing, liquefying, transport and then storing the carbon dioxide. It is highly unlikely CCS technology (if it works) will be able to be retrofitted to existing coal fired power stations - which should be decommissioned. CCS, if it can be made to work, won't be available for deployment earlier than 2020 (possibly even 2030) so it would be to late to reduce emissions over the next two decades - which is arguably now the critical period. 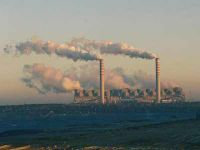 The Massachusetts Institute of Technology interdisciplinary expert study on The Future of Coal envisages that coal with CCS may begin to make a contribution to emissions reductions around 2025. A similar result was obtained in an earlier assessment by the Australia Institute. Origin and use of the term "clean coal"
The exact origin of the term "clean coal" is not clear. However, the phrase "clean coal" has developed a life of its own due to a barrage of commercial propagandising and greenwashing. For example, in 2008 year a coalition of US coal mining companies and electricity utilities called Americans for Balanced Energy Choices (and recently renamed the American Coalition for Clean Coal Electricity) is paying the advertising agency R&R Partners $35m (£22m) to promote "clean coal" through advertising and other promotional activity. Politicians in many countries, including the United States, Australia and Great Britain, use the term frequently and liberally, which helps to support the myth that it is real and it exists. Legal attempts in Australia to stop the use of this term (by energy companies and politicians) because it is misleading and in breach of the Trade Practices Act have so far been unsuccessful. The World Wildlife Fund for Nature (WWF) and the Climate Institute in Australia joined forces with the coal industry and the miner's union (CFMEU) formed an alliance to call on the Rudd Government to set up a national task force to develop "clean coal". The new alliance, led by the Australian Coal Association, was launched in Canberra in April 2008. The Australian Greens party and rival environment groups accused WWF and the Climate Institute of providing greenwash for the coal industry over its response to global warming. "The coal industry has put this coalition together to try to give cover to the Rudd Government and to the industry to get access public money while they can," Greens senator Christine Milne. We need roadmap to exit from coal fired power, not go looking for reasons and excuses to keep burning it. Government funding for CCS is actually just another subsidy to the already highly subsidised, private and highly profitable fossil fuel energy sector. Some groups claiming to be "for the environment" such as the World Wildlife Fund (WWF) and the Climate Institute have recently endorsed "clean coal" and "CCS" as viable options for addressing climate change and receiving government funding. It is a concern that such groups are participating in industry and government spin which will hijack and confuse real action to address climate change, the end result of which could be catastrophic. It is inappropriate for governments to fund and promote CCS as a viable solution for climate change that is on par with genuine zero emission renewable energy options such as wind and solar. Note that CCS technology is viable and in use for separating and burying CO2 from natural gas at the Gorgon and other gas fields on the North-West Shelf. This is much more efficient than attempting to capture and store CO2 from burning coal, and the CO2 is pumped back into the same well the natural gas is extracted from. Government funding should be immediately withdrawn from CCS research and development and redirected towards zero emission energy solutions, re-training programs for workers to move from polluting industries into sustainable, renewable energy projects and into carbon sink projects such as bio char (terra preta de indio). While many politicians and are praising and funding "clean coal" initiatives in countries like Australia, there are no proven examples of this proposed technology actually working anywhere in the world. In truth, "clean coal" is actually very expensive, as well as being very difficult and very risky. In short, proven zero emission renewable energy options are a much better option. One example that was being cited - a prototype 275 megawatt power plant in Matoon, Illinios in the United States, was cancelled by the U.S. Department of Energy in February 2008. Reasons cited for the cancellation included "spiraling costs due to rising prices for concrete and steel, among other factors, and the DOE said it was pulling the plug to save money and to restructure the agency's clean coal effort to be less centralized and more effective." The Australia Federal Government’s silver bullet for dealing with climate change — the underground storage of greenhouse pollution — has been dealt a blow with the collapse in WA of a $2 billion trial of the technology. The clean coal experiment run by the resources giants Rio Tinto and BP was ditched after it was found that deep-sea storage beds off Perth would not hold the tonnes of carbon dioxide the companies wanted to bury. Royal Dutch Shell and Anglo American have shelved their proposed $5 billion coal-to-liquids project in La Trobe Valley, Victoria, because of cost blow-outs. Monash Energy, the company jointly owned by Shell and Anglo American, stated that the current market conditions made it unfeasible to move ahead with the project. The Federal and Victorian governments have been promoting coal-to-liquids as a cleaner transport fuel believing that it would produce fewer greenhouse gas emissions. The Monash Energy project director, Roger Bounds, said the firm was not walking away from the project but would extend the concept assessment phase. He said "critical requirements" for the project were "not yet in place", citing as reasons higher capital cost estimates and escalated construction costs. Going underground: carbon dioxide storage experiment, 7.30 Report - ABC, April 7, 2008. "Australia has launched a world first experiment in storing carbon dioxide underground. However Australia's power generators warn it may not deliver the clean power that is needed in the time available." 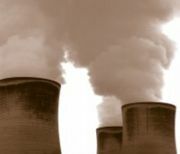 Carbon Capture: Miracle Cure for Global Warming, or Deadly Liability?, Megan Tady, AlterNet. November 24, 2007. "The evidence is mounting internationally that so called 'clean coal' will never be achieved as an economical alternative to Renewable Energy"
This page was last modified 22:40, 28 October 2015. This page has been accessed 88,668 times.